Dozens of filmmakers dressed up as zombies early on Sunday “attacked” the Cuban town of San Antonio de los Baños, where for the past four years the only procession of the living dead has been held on the island. 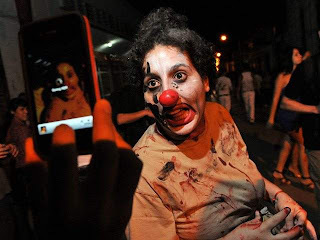 People costumed as the zombies of priests, clowns, drunkards, doctors and regular people wandered through the town’s central streets, scaring the locals with groans and cries and splashing “blood” onto curious onlookers after getting off a bus provided by Cuba’s International Film School, or EICTV. That institution, which is based in the town, four years ago launched the march of the living dead as a way of integrating the school into the community and paying tribute to horror films. The first edition of the event only attracted 12 of the townspeople, but it has been growing in popularity and now is a much-anticipated diversion, said one of the procession’s coordinators and a professor at the school, Colombian Andres Buitrago. A group of 80 students, professors and graduates of EICTV on Friday began the show and wrapped up their party a few hours later with the screening of short horror films on one of the town’s central plazas. By showing the short features, the organizers said they wanted to honor the school’s 25 years in operation, an anniversary that will be celebrated in December, and they decided to share with the public some of the works in the horror genre that the institution has produced. EICTV, founded in 1986, is considered to be the most important academic project of the New Latin American Film Foundation, based in Havana and headed by Colombian writer Gabriel Garcia Marquez. The institution has some 800 graduates around the world and has made San Antonio de los Baños into the most filmed town in Cuba, given that its stories and locations appear in many of the works produced by the students. “It has nothing to do with Halloween. 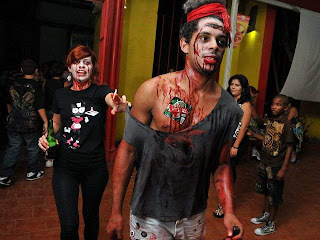 The zombie processions in all countries have a specific connotation, in some it’s a way of saying no to violence, of having young people seek their own space, but others are (held) at film, horror or music festivals,” he said. In Cuba, where there is no tradition of celebrating Halloween, the living dead are only just starting to become more popular. This year, the island’s first zombie film was released, entitled “Juan de los muertos” (Juan of the dead) and directed by Cuban Alejandro Brugues, a graduate of EICTV. The following article was written by Stephen Kimber and published by The Huffington Post on the eve of René González's release. On the eve of René González's release from an American prison - but not his prison America will now become - it's worth reminding ourselves what terrible crimes he committed. Why was he sentenced to 15 years in jail? 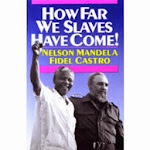 And why do American officials now insist he serve his post-prison parole in Florida instead of in Cuba? In 1998, González - a member of the Cuban Five spy ring - was charged with failing to formally register as an agent of a foreign government. Guilty as charged. In December 1990, González "stole" a small plane from a Havana airfield and "defected" to Florida. Not surprisingly, he didn't tell authorities he was a Cuban intelligence agent whose mission was to infiltrate militant Miami exile groups. 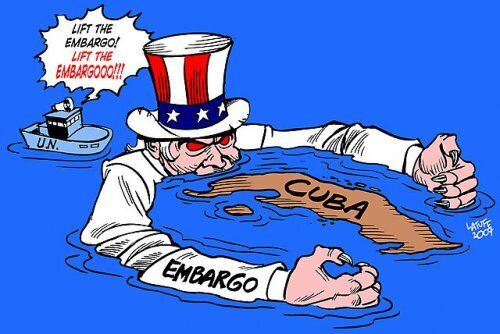 The reason he didn't - the reason he'd been sent to Florida in the first place - was that U.S. authorities rarely charged Cuban exiles, even those clearly violating American Neutrality Act prohibitions against launching armed attacks on another country from U.S. soil. Cuba certainly isn't the only country to dispatch clandestine agents to other countries in order to protect its homeland from attack. Consider... well how about post-9/11 America? How many American agents are currently operating secretly inside Pakistan because the U.S. government believes Pakistan is unable or unwilling to deal with terrorist threats there? How many of those agents registered with Pakistani authorities? It's also worth noting how the U.S. has dealt with other unregistered foreign agents. Last year, 10 Russians pled guilty to being long-term Moscow agents inside the United States. Instead of sending them to prison, Americans authorities sent them home in a swap for four foreign nationals the Russians had convicted of spying on them. The Cold War was over. Except, of course, when that hot-cold war involved Cuba. Welcome to America's war on terrorism (fighters). In addition to feloniously failing to tell American authorities he was not an anti-Castro "freedom fighter," René González also stood accused of... "general conspiracy"? General what? Despite thousands of seized documents and two years' of pre-arrest surveillance, prosecutors couldn't produce a shred of evidence González had ever stolen - or tried to steal, or even thought about stealing - any of America's state secrets. So they charged him with... general conspiracy. Which apparently means if they can't arrest you for what you're doing, they'll get you for what you're thinking... or what they think you're thinking. What did González really do? I spent months poring over 20,000-plus pages of his trial transcript. Here's what the record shows he did. He infiltrated - and reported back to Havana on - a militant Cuban exile organization called PUND. PUND trained in Florida for armed attacks against Cuba. They did so openly. In 1995, the FBI questioned members of the group in connection with one plot - but released them without charges. • Brothers to the Rescue members test-fired anti-personnel weapons for possible use in Cuba. And González infiltrated another supposedly peaceful group - Movimiento Democracia - whose members openly violated Cuban territorial waters. During his time as an agent in Florida, González even served briefly as an FBI informant. A PUND member had enlisted him to ferry cocaine from Puerto Rico to Florida to raise money to buy more weapons to attack Cuba. González tipped off the FBI. Based on court documents, that is the sum of René González's "general conspiracy." U.S. prosecutors were so unsure of their conspiracy case they offered González ever sweeter - and more sour - inducements to cop a plea before his trial. At one point, they dangled the carrot of avoiding trial by pleading guilty to a single count of being an unregistered agent. But "the last paragraph of the plea agreement draft," González recalls, included "a not-so-veiled invitation to consider my wife's resident status is at stake." González drew a middle finger in the space left for his signature. The next day, Aug. 16, 2000, immigration officials arrested his wife, and deported her. He has not been allowed to see her since. René González has now done his time. He's been in jail since his arrest in 1998. He spent his first 17 months in solitary confinement. As required by Florida law, he will have served 85 per cent of his sentence inside prison before being paroled. Now he wants to go home to Havana to see his family. There's no public benefit to forcing him to serve his parole in hostile Florida. He is not about to be "reintegrated" into American society, and he could be in physical danger from vengeful exiles. Still U.S. prosecutors opposed his application. The same judge who originally sentenced him sided with prosecutors. The issue is that González continues to defend what he did. "I have no reason to be remorseful," González told his original sentencing hearing. 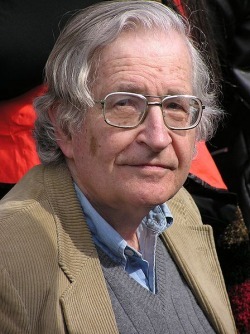 He condemned the hypocrisy of the American justice system for charging him and his fellow defendants for the non-crime of trying to protect their country from terrorist attack while ignoring the real crimes of exile terrorists like Luis Posada Carriles and Orlando Bosch who stood accused of the 1976 mid-air bombing of a Cubana Airlines flight that killed 73 people, and a string of 1997 attacks on Cuban tourist hotels that killed a Canadian. So on Friday René González will be released from his physical prison but only into another, psychic one. For the 20th consecutive year, the UN General Assembly has adopted a resolution calling for the lifting of the 50-year-old economic, commercial and financial blockade imposed by the United States against Cuba. The 191-member United Nations body voted to condemn the “adverse effects” of such measures on the Cuban people and on Cuban nationals living in other countries in the non-binding resolution. Countries from across the world – from China to Mexico and from Algeria to South Africa – queued up to lend their political and diplomatic support to Cuba. The representative from Uruguay noted that “we have witnessed an increase in the restrictions on Cuba’s transactions with third countries” and the blockade is “counter to the principles of justice and human rights, hampers and delays development and seriously harms the Cuban economy”. Venezuela sent a message of support and solidarity to the Miami 5 and appealed to the United States for their release and the return of Rene Gonzalez to his homeland. Cuban Foreign Minister Bruno Rodriguez said that the sanctions have caused direct economic damages of close to $1 trillion to the Cuban people over nearly half a century and that President Obama had done little to change this. "Despite the false image of flexibility that the current U.S. administration intends to portray, the blockade and the sanctions remain intact," Rodriguez told the assembly. "Why doesn't President Obama's administration take care of the U.S. problems and leave us Cubans alone to solve ours in peace?" American Ambassador Ronald D. Godard, U.S. Senior Area Adviser for Western Hemisphere Affairs, said the embargo is a bilateral issue and "not appropriately a concern of this assembly." Resolution A/66/L4 received 186 votes in favour and 2 against (USA and Israel), with 3 abstentions (Micronesia, Palau and the Marshall Islands). In 2010 the vote was 187 to 2. Following his release from prison, René González - one of the Miami Five - sent this message to the people of Cuba. A full English transcript can be read below. "These words are for my people, to whom I owed since the day I got out of jail and could not be sent because of the circumstances surrounding the need for us to have a safe trip. It's very difficult talking through a camera to a people who I love so much and which I feel part of, but I needed to communicate with you and say how grateful I am for everything you have done, to tell you that we have felt very accompanied by the messages, the letters from children, all the study and working groups that have sent us their messages from Cuba, the support that we've always had and that has fed us in these years of injustice, which are already too many. For me this moment of happiness we share is, simply, a parenthesis in a history of abuse where an apex of justice has not been made yet. The fact that I am now out of jail only means that one avenue of abuse, which I'd been subject to, has come to a dead end. But we still have four brothers we have to rescue and we need with us, with their families; among you giving their best and not in those places where they are now, where they get up, wake up every morning, go to a dining room where they shouldn't eat, walk among people they shouldn't walk with, and we really need to continue with the struggle to keep them going. For me this is just a trench, a new place where I will keep fighting for justice to be done and for The Five to be back at your side. I want to send a special greeting to the families of the other four brothers, who have really moved me by their joy. It's deeply moving when you talk on the phone with a person who has a son or a husband in jail and takes my freedom as if it was the freedom of one of their own. That really moves me and commits me, and we have to keep struggling because they don't deserve to be where they are. To all my people, to the thousands of people who have been with us all these years around the world, through whom we have been able to break this information blockade little by little and break the silence that the big media corporations have over the case, I extend on behalf of The Five, my deepest gratitude, my commitment to continue representing you how you deserve, which is ultimately what we The Five are doing, because we're not only five, we are a whole people that has stood for 50 years. And thanks to that we are still standing, because we are inspired by you, because we know that we represent you and will never fail you and will always be at the level that you deserve. The Five love you from wherever we are." 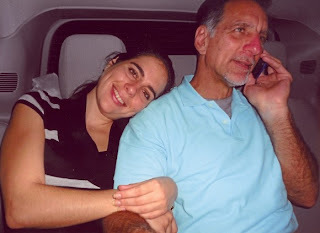 René González - one of the Miami Five - was released from prison on 7 October 2011 following 13 years of unjust incarceration. 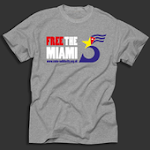 Although Rene has been released from prison, he is not free and must spend a further 3 years on probation in Miami, despite the fact that his wife, children and family all live in Cuba. This is an extra and cruel punishment imposed by the US on Rene. By forcing Rene to remain in the US, his life is in danger from the very anti-Cuba terrorist organisations that he was in the country to infiltrate. Furthermore, inflammatory statements from US Congresswoman Lleana Ros-Lehtinen calling him an "enemy of America" further threaten his safety. Please write to President Obama requesting he intervene in this case today. Full details of the campaigning action and a model letter can be found here. CSC's statement on Rene's release can be read here. The footage below - filmed by relatives of René - documents the moment the Cuban antiterrorist left Marianna prison in Florida at 4.30am. Spaces still available on winter solidarity brigade to Cuba! 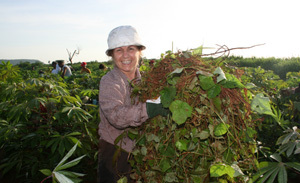 and many other fantastic activities, as well as volunteering work in a beautiful citrus growing area. Departing the UK on the 21st of December and returning on the 11th of January, you will love seeing in 2012 in the real Cuba. Further details can be found here. Please email Beccie or call the office on 0208 800 0155 to request a booking pack.